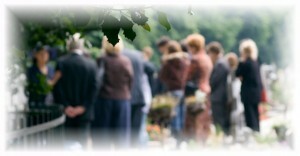 Why Record a Funeral Service? Check out our complete reviews on our “Testimonials” page, as well as on Thumbtack at: Videography for Weddings & Other Events “You film…, we edit” wedding packages starting at $295. If you prefer, we will provide the videographers to capture all the precious moments of your special day (click here for additional wedding package pricing), or call to schedule a free, no obligation, in-home consultation and to view wedding sample videos. Video Creations is a full service production company based in Wheaton, IL, serving the Chicagoland area. We specialize in multi-camera videography utilizing cinematography style filming and editing techniques. We genuinely and sincerely care about you and your family. Whether it’s an incredibly happy event like your wedding day, or an incredibly sad and difficult day from the loss of a loved one…, we care. We are passionate about what we do as both a service and a product, and will do whatever it takes to provide you with the best of both. It’s NOT just a job to us. We specialize in time critical event videography. Both weddings and funerals are already stressful days in themselves (although in different ways), and there are no second chances or “do-overs”. In both cases, YOU shouldn’t have to worry about capturing the memories of this important day. That’s our job. Video Creations performs all the work. We don’t contract out to other videographers or editors. When you hire Video Creations, you get Video Creations! We perform and control the entire production, from filming, to editing, to final production. Video is our specialty. We don’t just “throw in video” as part of another service or product. 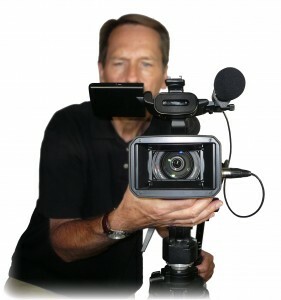 Video and audio production is a specialize field (which requires special techniques), and we focus entirely on video/audio production…, that is our specialty! Crystal clear audio to go along with the video (this is absolutely critical and often overlooked by people looking for a video company). Capturing, editing, and producing outstanding audio is equally as important as capturing video, and requires special techniques and consideration throughout the entire process. “Manned” cameras. We don’t just set up one or two cameras, walk away, then let them “capture what they capture”. A videogapher operates the camera to constantly follow the action, pan, zoom, re-locate if necessary to always get the best perspective. We are accessible to you at any time and will respond back to your inquires in a timely, personal manner to address any questions, concerns, requests, or suggestions at any time (from pre-hire through final production and even years after final production!). Video Creations won’t “nickel and dime” you with hidden costs or fees. We focus on the end product and will do what is necessary (without extra cost to you) to produce the best possible product. We always use multiple cameras, an essential ingredient to producing a great video! Uniquely customized video specific to your event and to your special requests. We don’t use or apply “cookie cutter template” techniques to your video. Thanks For Considering or Choosing Video Creations! We consider it a privilege that you have chosen Video Creations to be part of one of the most important days in your life. It is our goal to capture and preserve the special moments of that day, and provide you with a unique Tribute Video Keepsake, that you and your loved ones will cherish now and for generations to come. To that end, our philosophy and goal, is to provide the absolute highest quality video product, both technically as well as artistically, without burdening you with any of the technical details or decisions necessary to achieve that goal. It’s our job to take care of those details. Our focus is on the end product, and we will do whatever is necessary to make that product the highest quality possible, whether it means adding extra equipment or spending more time on site or in the editing studio, we will do what it takes. Video Creations will fully customize the end product to your requests, and can incorporate almost limitless creative and technical effects into the final video. Although we take care of the technical details, we encourage and consult with you to provide as many creative suggestions as possible in order to customize the video to your specific needs and desires (i.e. special music, old video footage, still pictures, family/friends pictures, special effects, etc.). We welcome the opportunity to earn your trust and deliver you the best service and product in the industry. Thank you for visiting Video Creations!